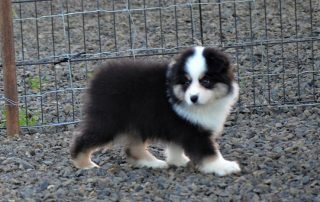 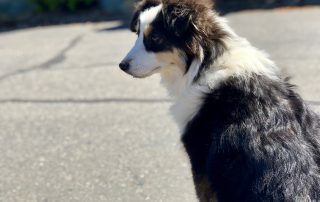 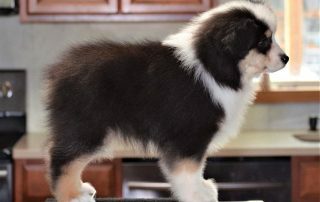 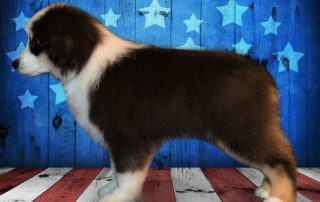 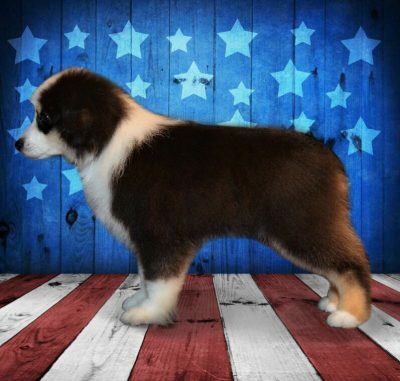 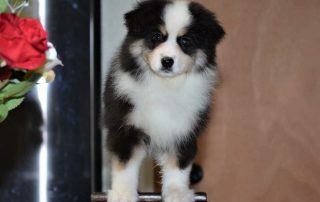 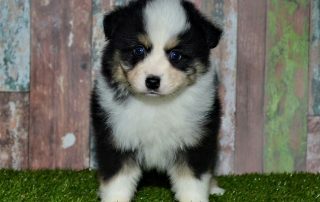 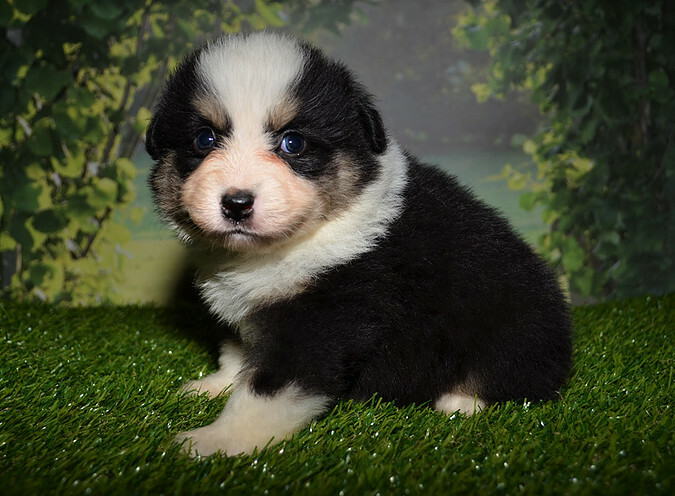 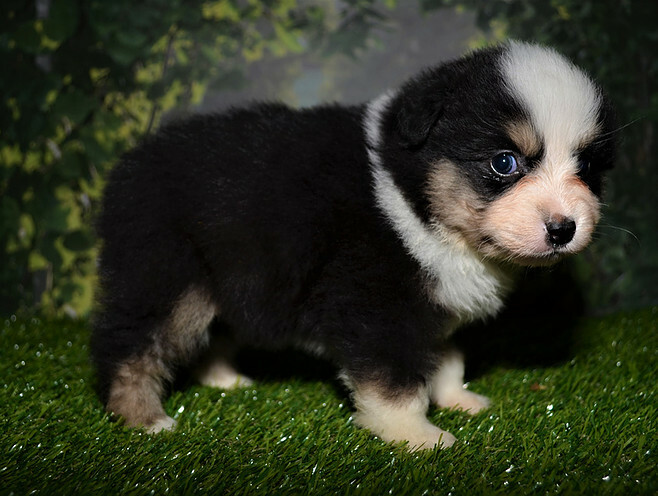 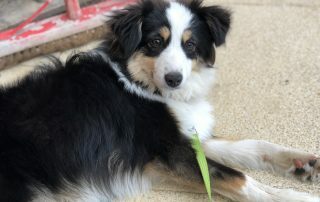 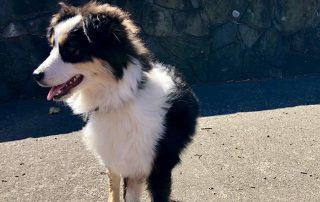 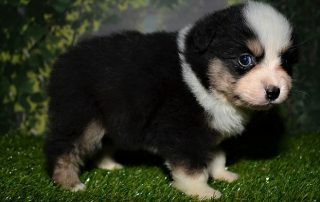 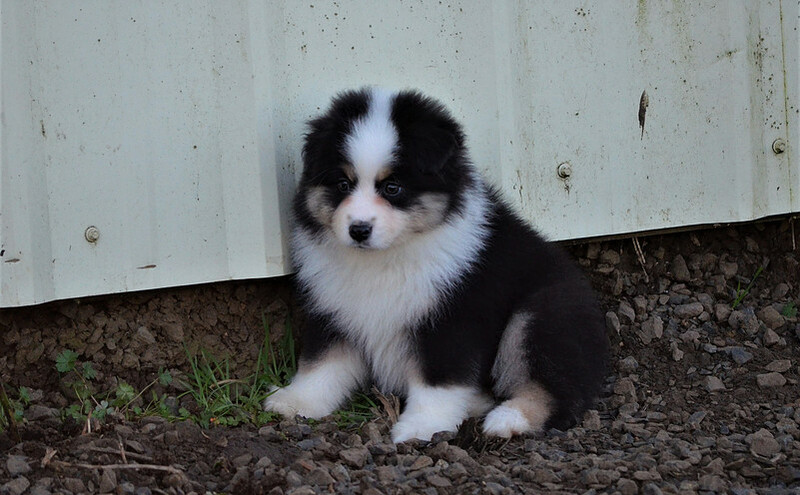 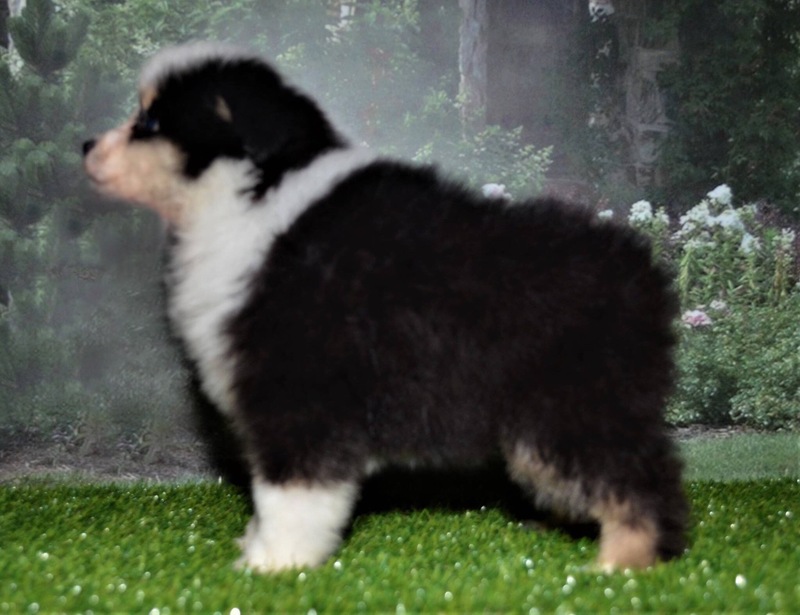 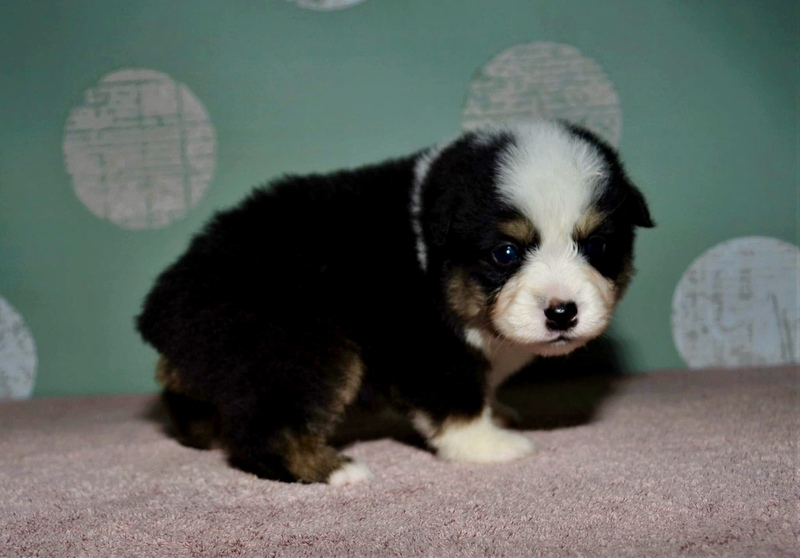 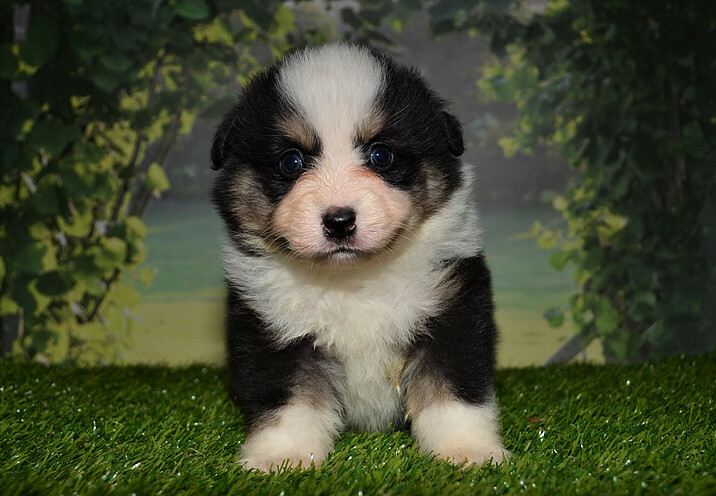 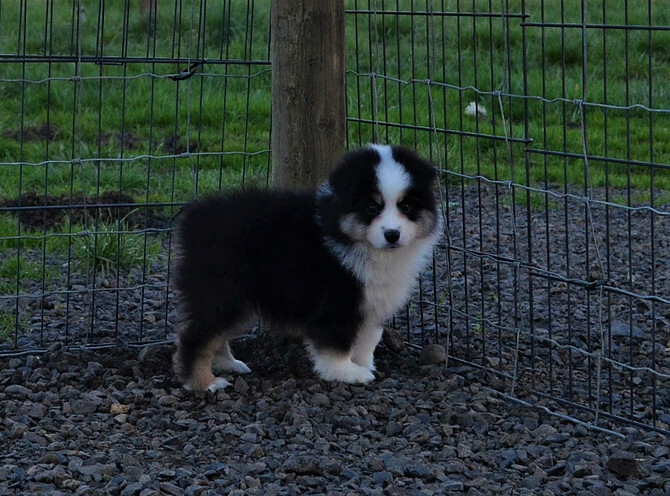 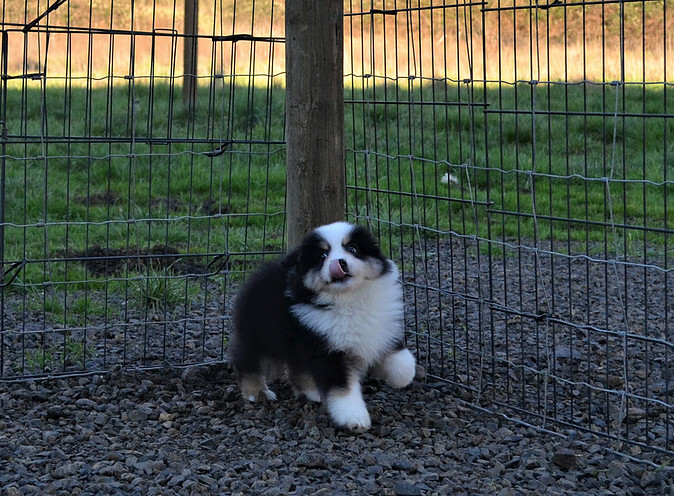 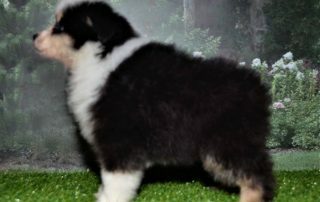 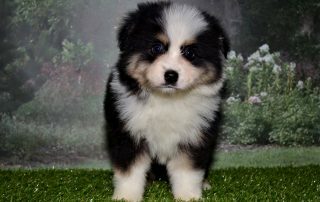 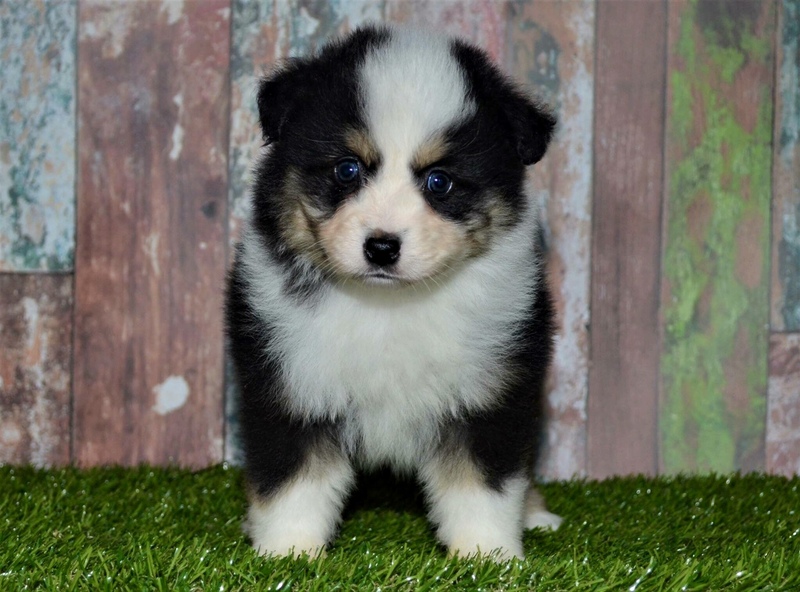 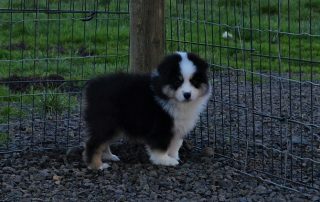 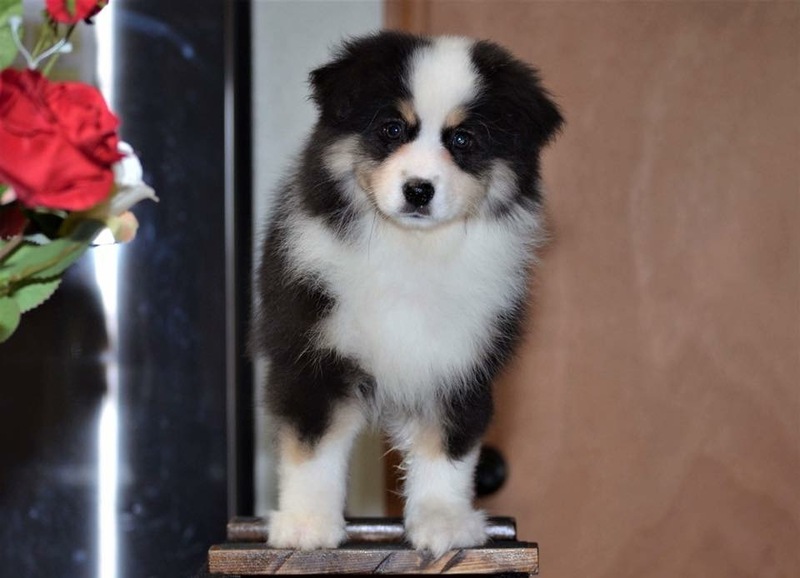 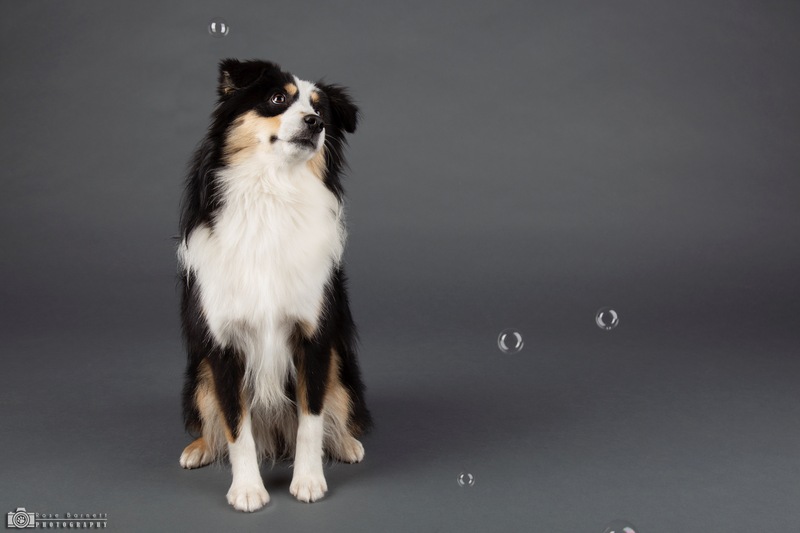 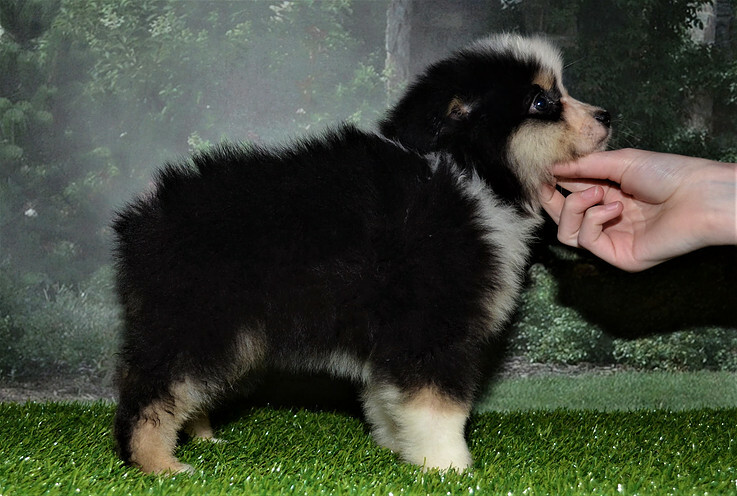 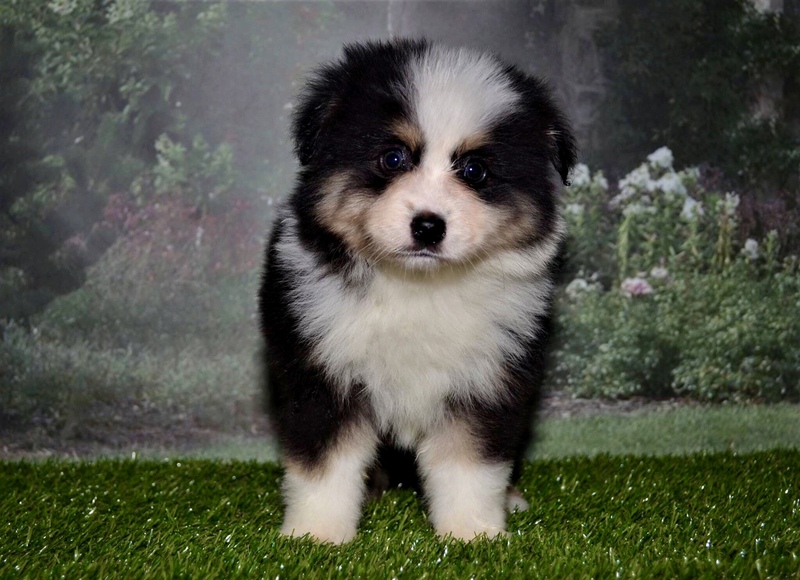 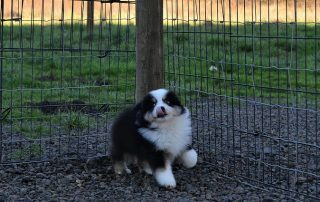 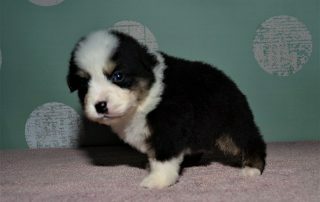 Legacy was bred by Trails End Miniature American Shepherds in Oregon, USA. 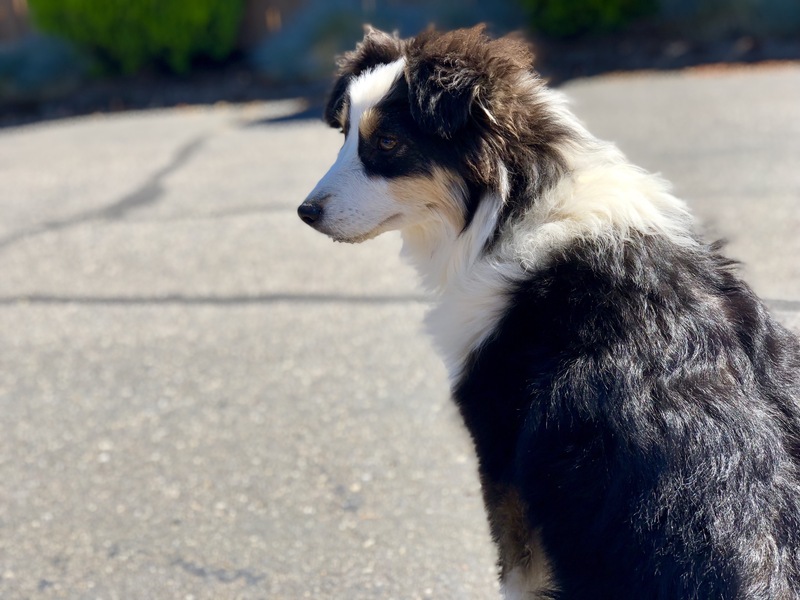 Legacy came to us from the USA – when we flew over to meet her, we knew it was just meant to be. 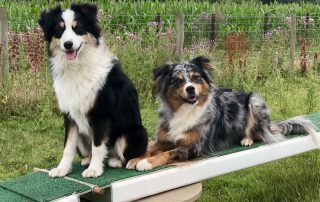 We’re forever thankful to Shannon for the great job she does breeding and raising her pups. 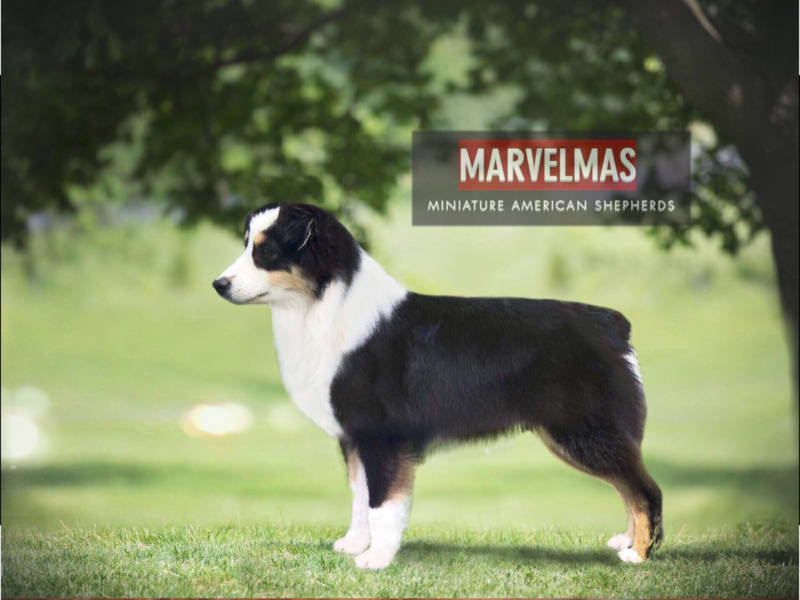 Legacy has the same amazing structure and temperament as Yondu, and will be a fantastic asset to MAS in the UK! 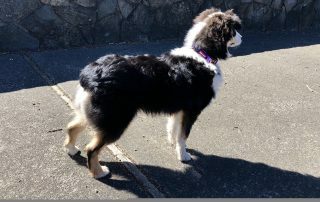 Legacy is smart, loving, and extremely fast on her feet. 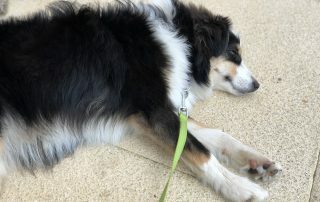 She has an amazing off switch, and will settle perfectly when out and about, as well as at home. 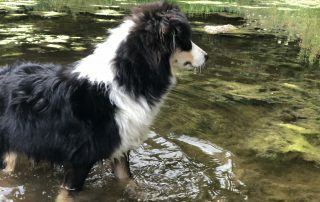 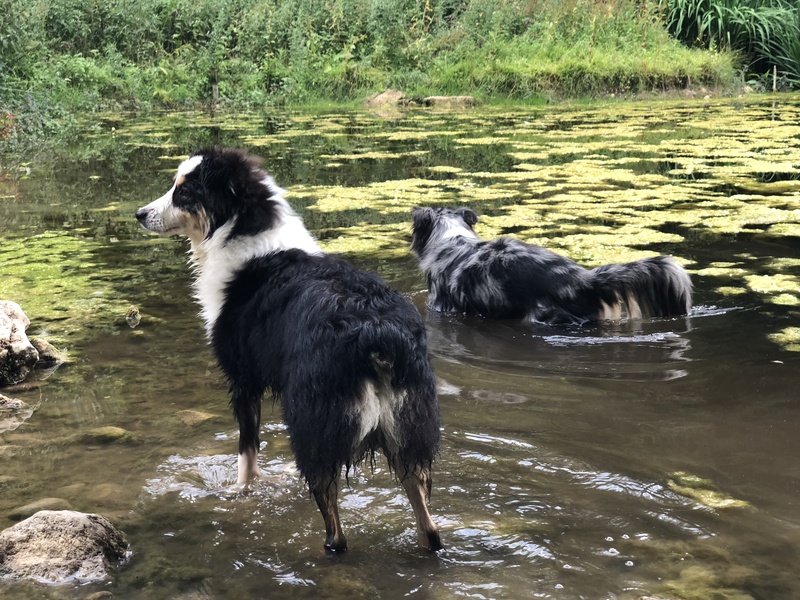 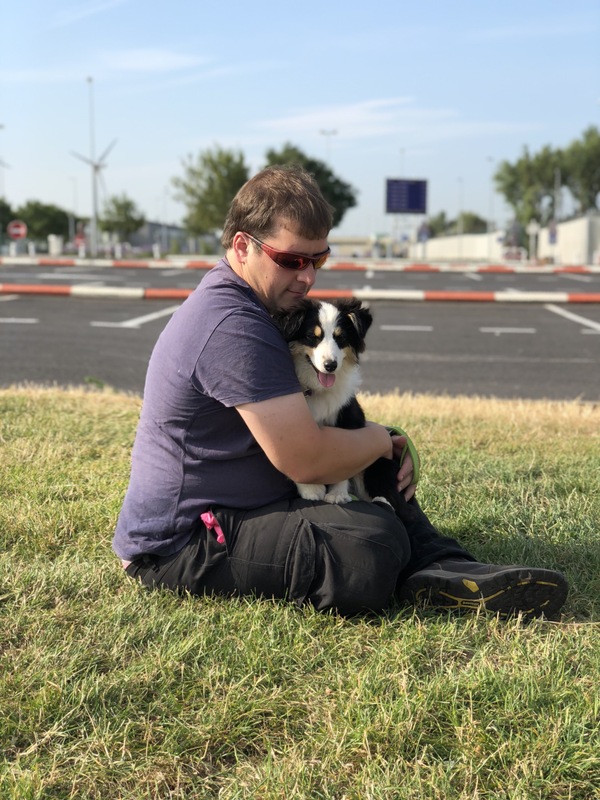 She’s still a young dog and while we will be trying a mixture of activities with her in due course, she currently loves going for a daily swim – so it looks like Dock Dogs may be her calling! 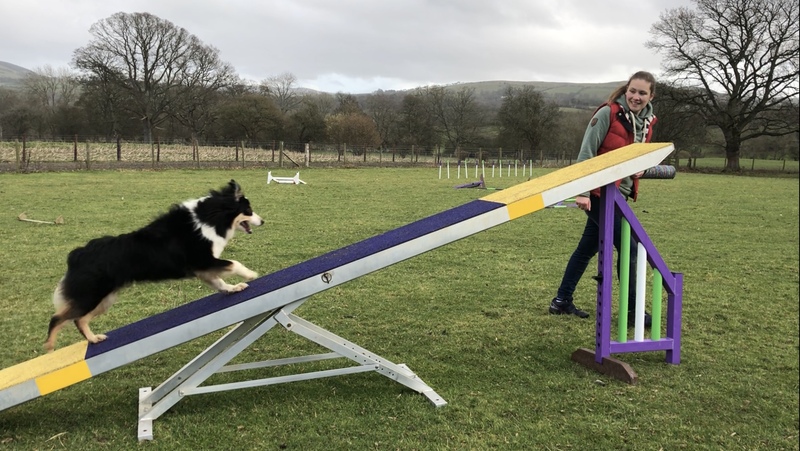 She is also a pocket rocket, so keep an eye out for her on the agility circuit. She is the first MAS in the UK (jointly with Yondu), to receive a Dog Parkour title. 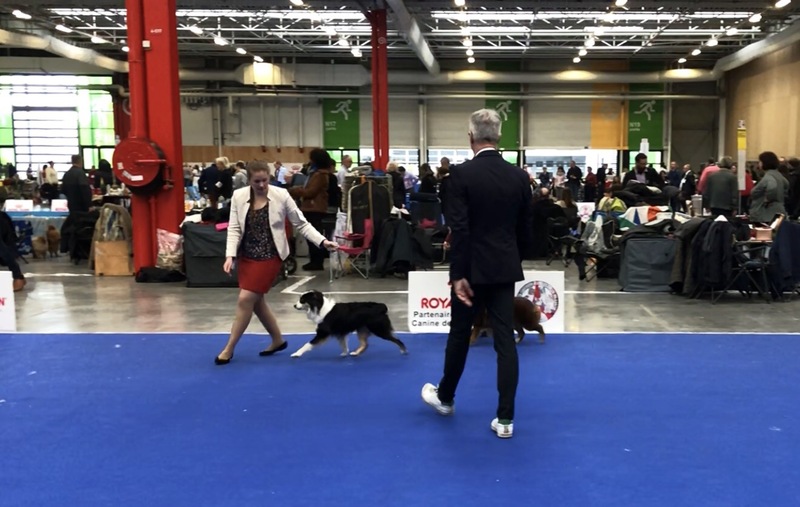 Structurally beautiful, Legacy attended her first conformation show in Paris, France, in January 2019. 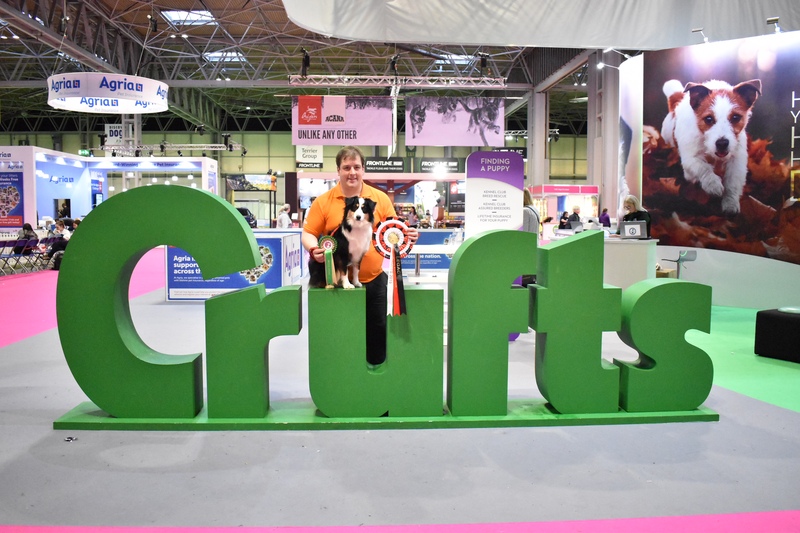 Legacy was invited to attend Crufts 2019 as a member of the Kennel Club’s Good Citizen Dog Display Team and passed her Bronze GCDS test live at Crufts. Tested by Paw Print Genetics, will be confirmed by Orivet. M-locus testing will be by Vemodia. 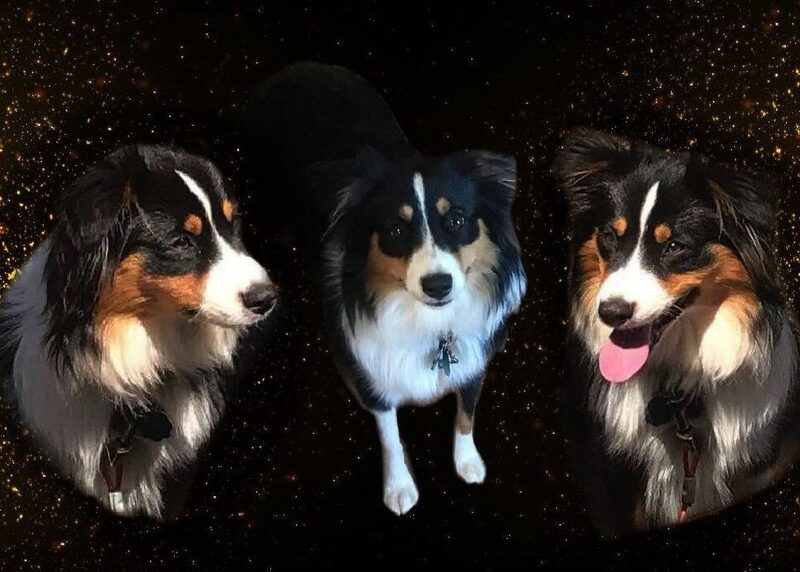 Click on each test to find out more. 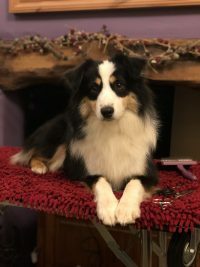 Legacy graduated Puppy School Sept 2018, and APDT Good Companion Awards Stage 1&2. 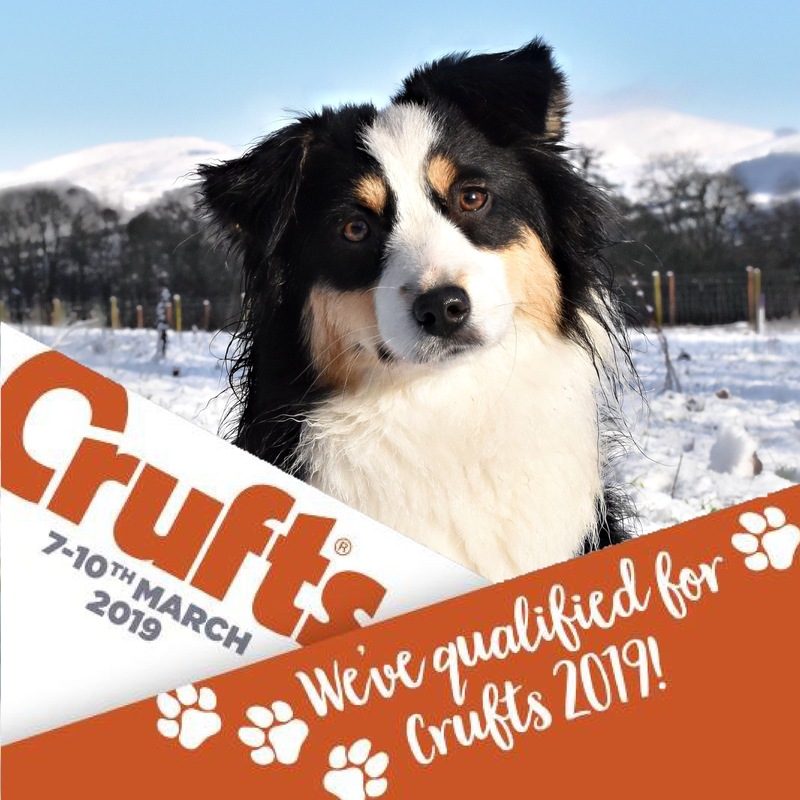 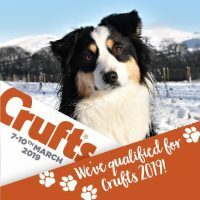 She was selected for the KC Bronze Display Team at Crufts 2019 and passed her exam live at Crufts. 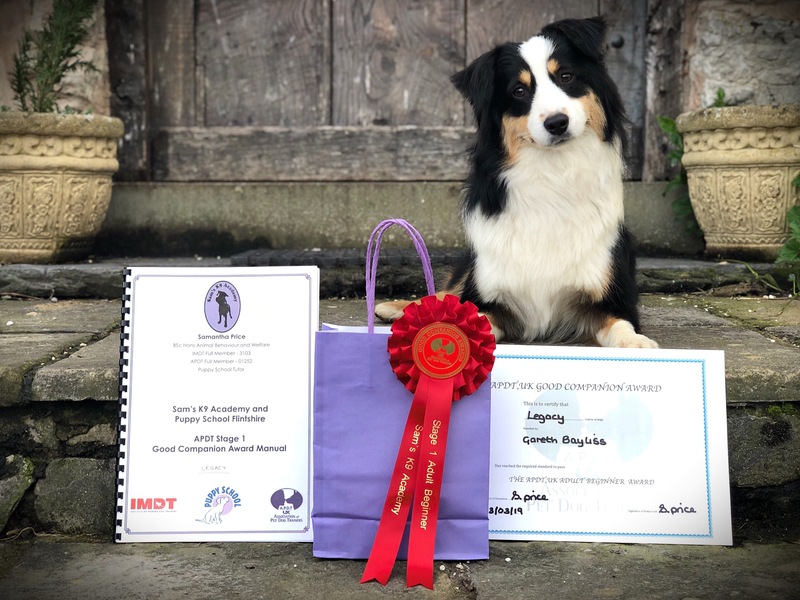 She is working towards her Silver GCDS award. 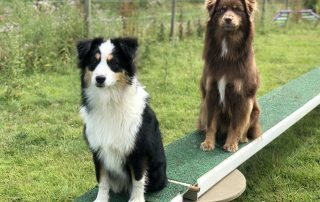 Jointly with Yondu, Legacy is the first MAS in the UK to receive a Dog Parkour title. Legacy is undertaking agility training and is proving to be a pocket rocket and extremely quick learner! 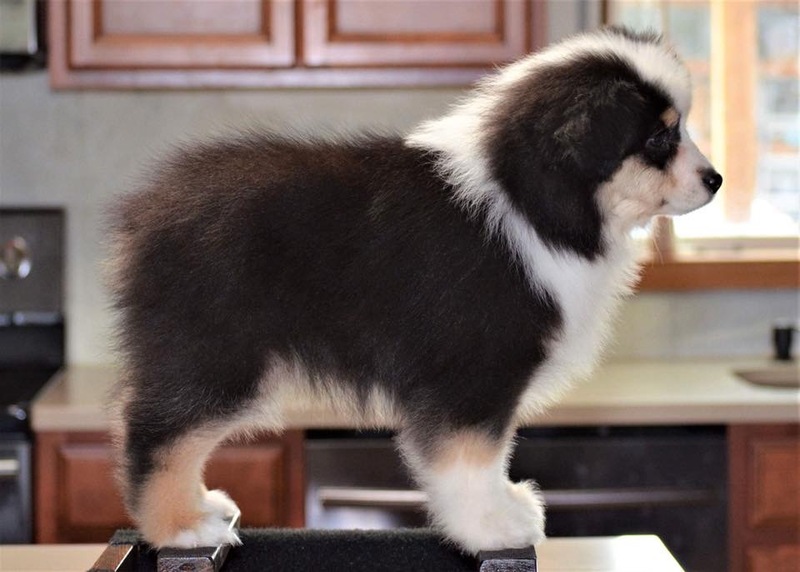 Legacy is working towards her AKC Trick Dog titles. 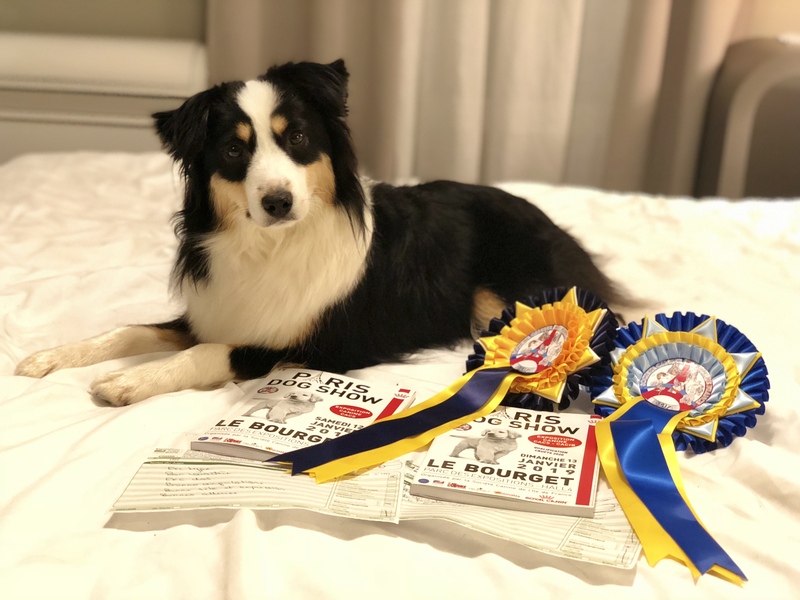 Legacy attended her first pair of shows in Paris, January 2019. 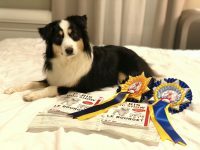 Here she was awarded 2nd place for Best Young Female on both days. 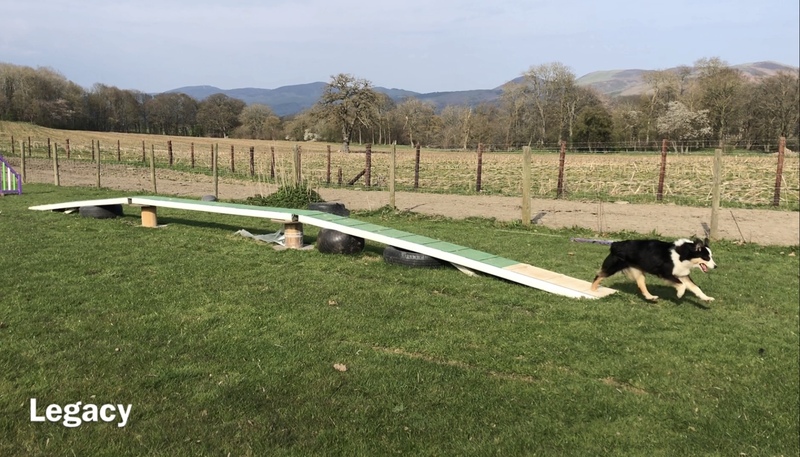 Legacy began rally training during Winter 2018 and we hope to enter her first competition with her Summer 2019. 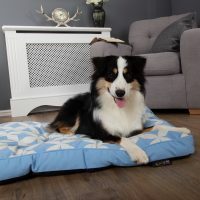 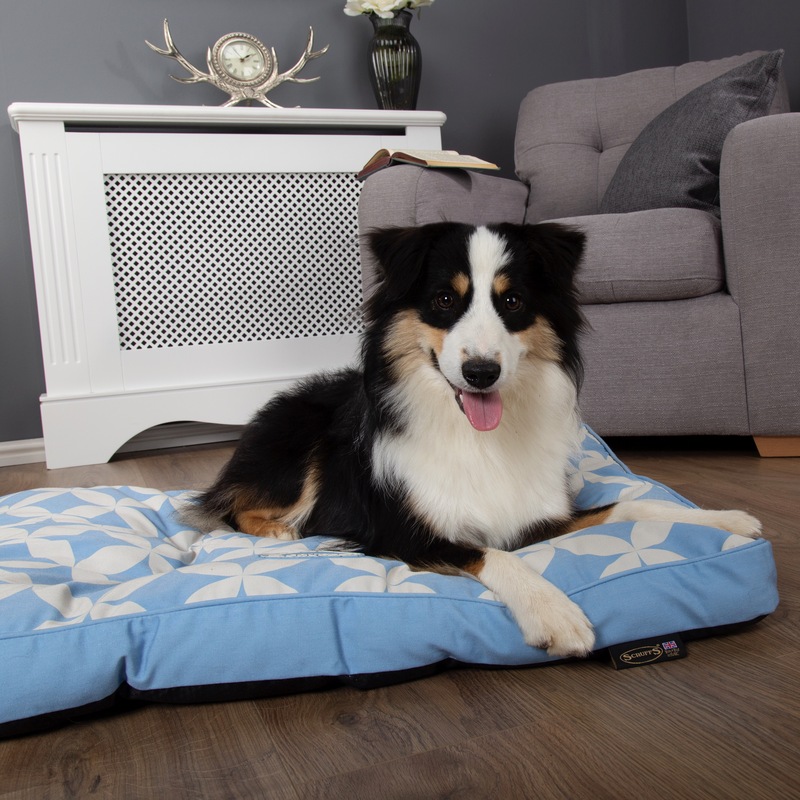 Legacy has modelled for Scruffs Dog Beds. 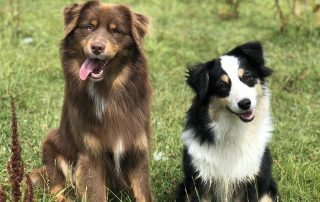 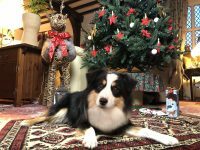 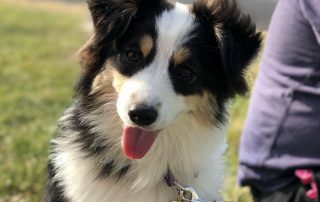 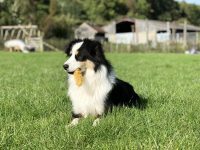 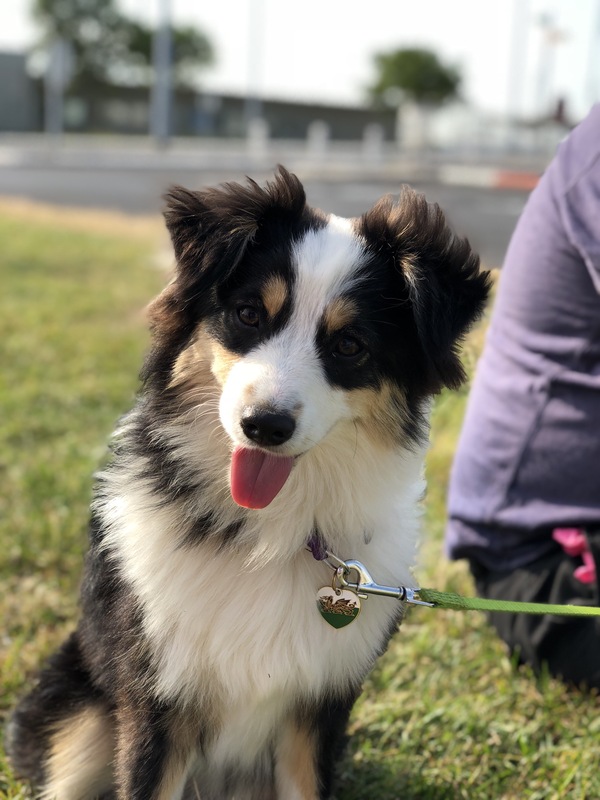 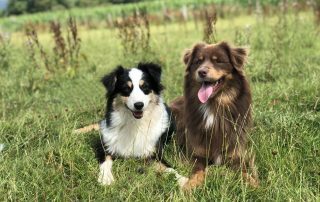 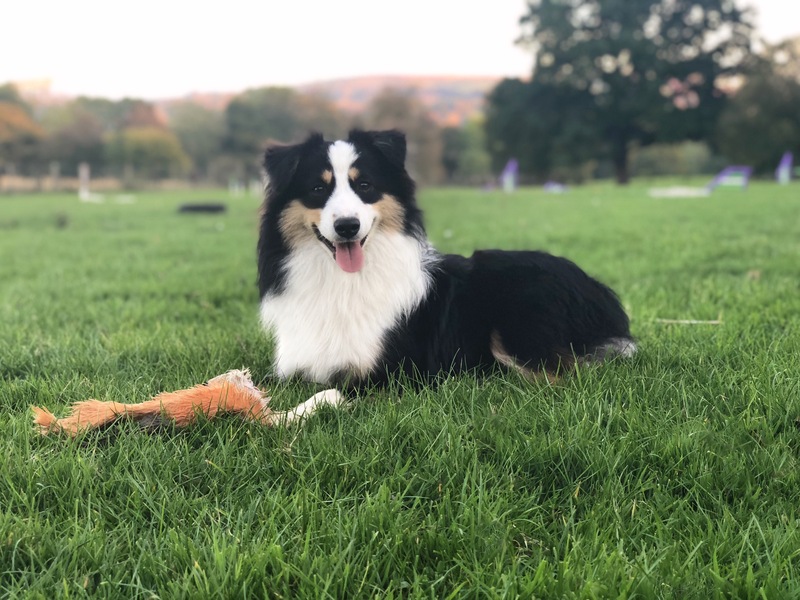 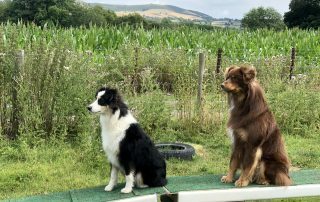 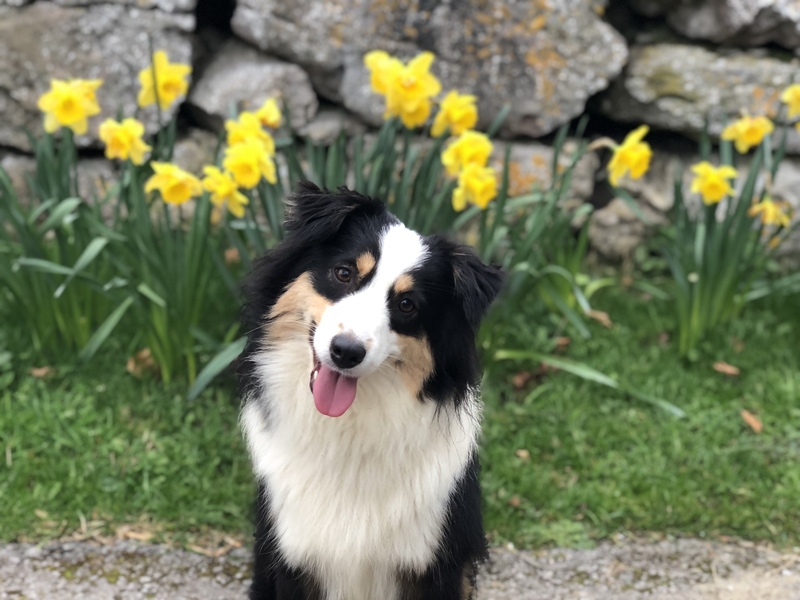 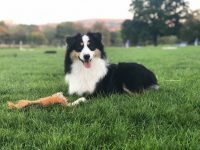 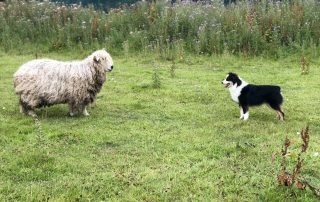 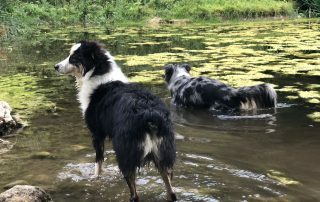 Firefly lives on a farm with sheep and ducks, while she has a natural herding ability, we work our dogs alongside the livestock for distraction training. 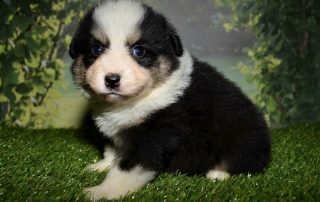 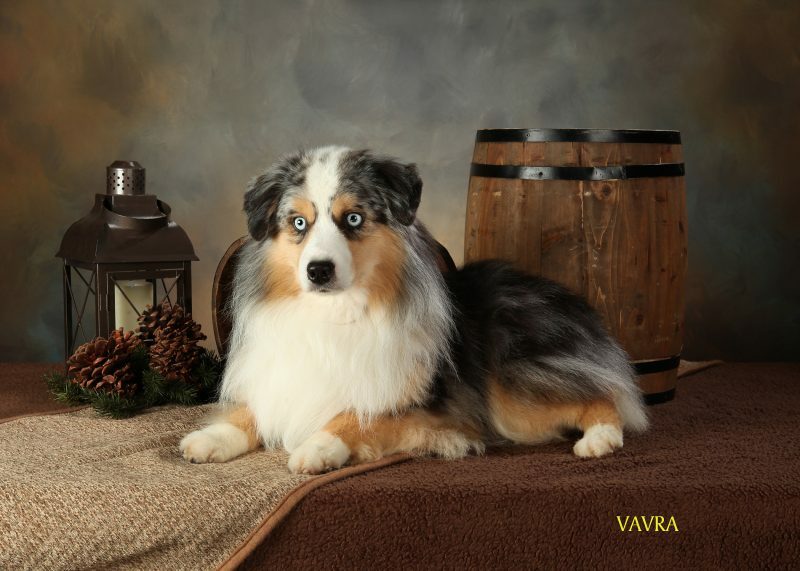 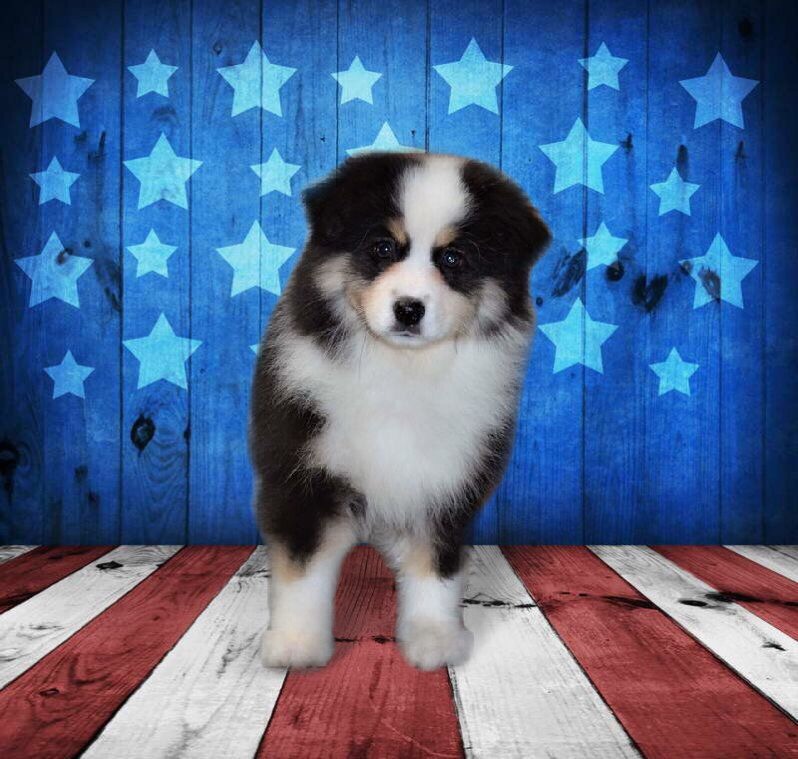 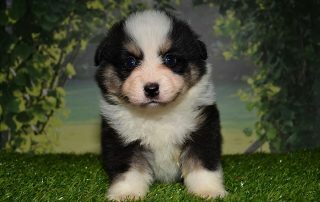 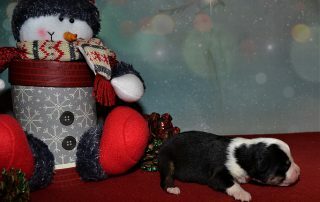 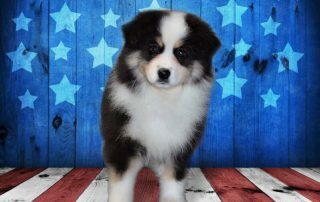 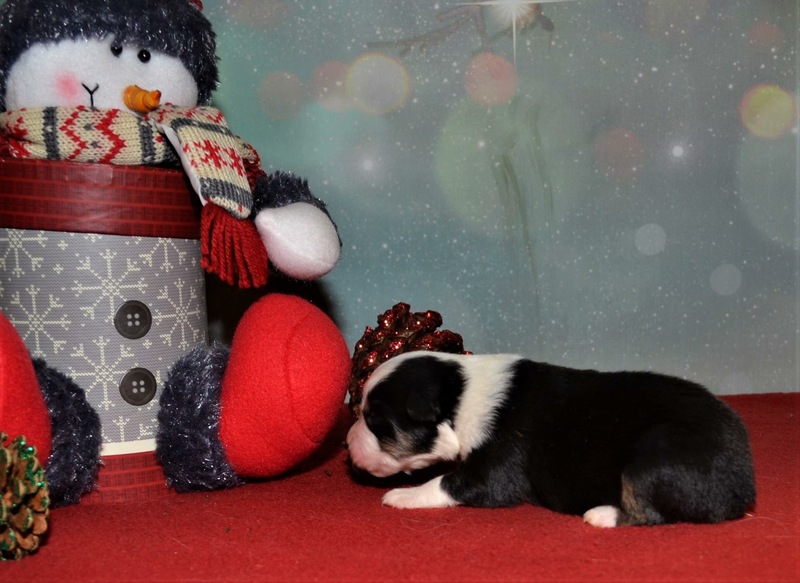 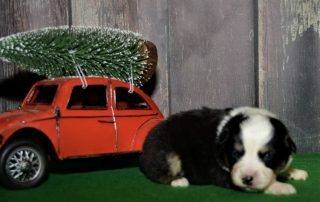 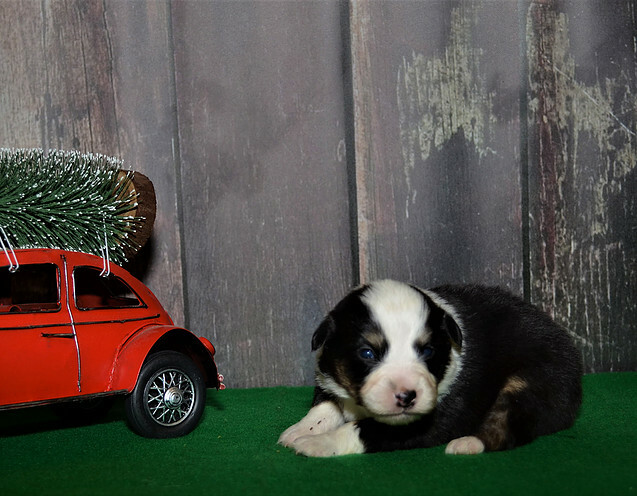 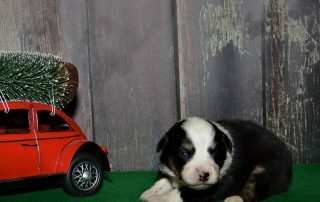 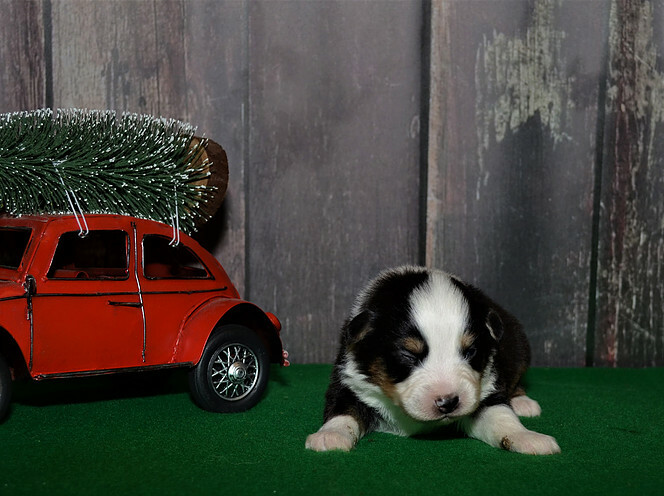 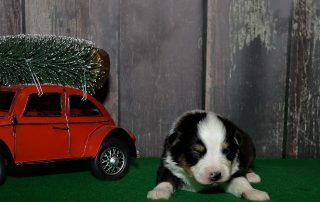 Legacy’s puppy photos are all shown with kind permission of Shannon Hunter, Trails End Miniature American Shepherds. 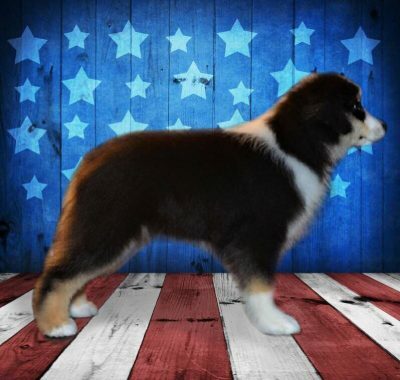 Legacy stems from gorgeous show lines in the USA. 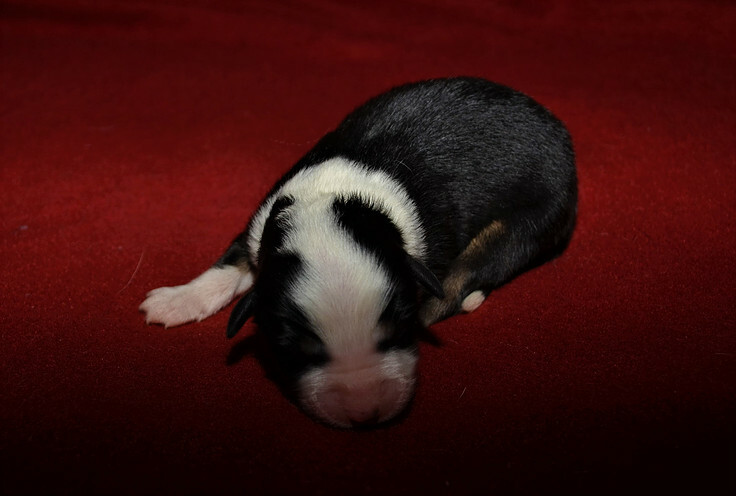 Her sire, Cash, has amazing bone and conformation, coupled with an awsome head and ear set. 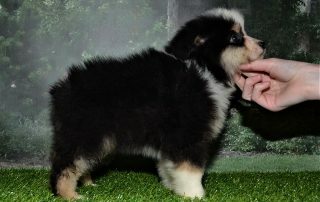 He is a Champion producer from Pockets breeding. 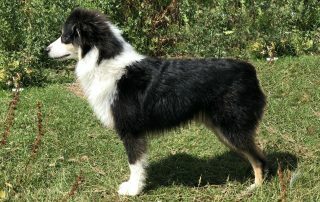 Legacy’s dam, Prue, from Linderland and Away To Me lines. 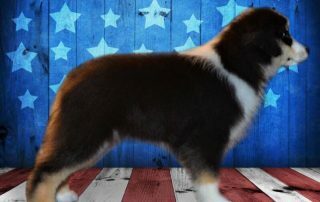 She is from some gorgeous show lines – giving Legacy her classical look, and often giving a lot of dog in a small package. 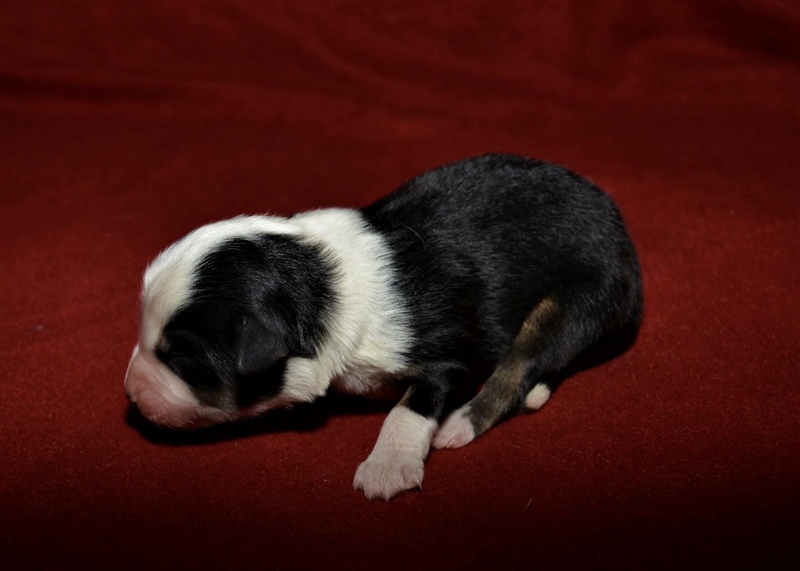 We have provisional plans to breed from Legacy in 2020. 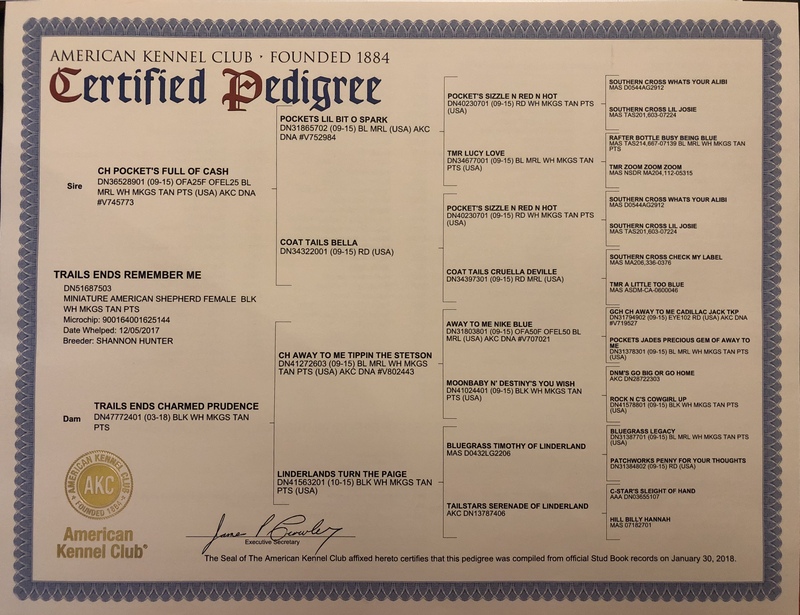 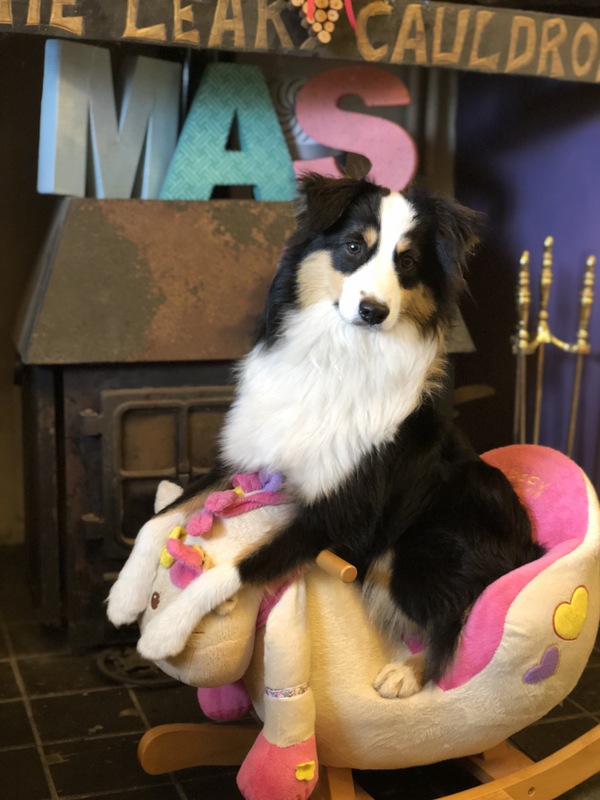 If she continues to develop as well as he has been, and produces clear hip, elbow, patella, and LSTV results we hope to have a litter from Legacy in 2020. 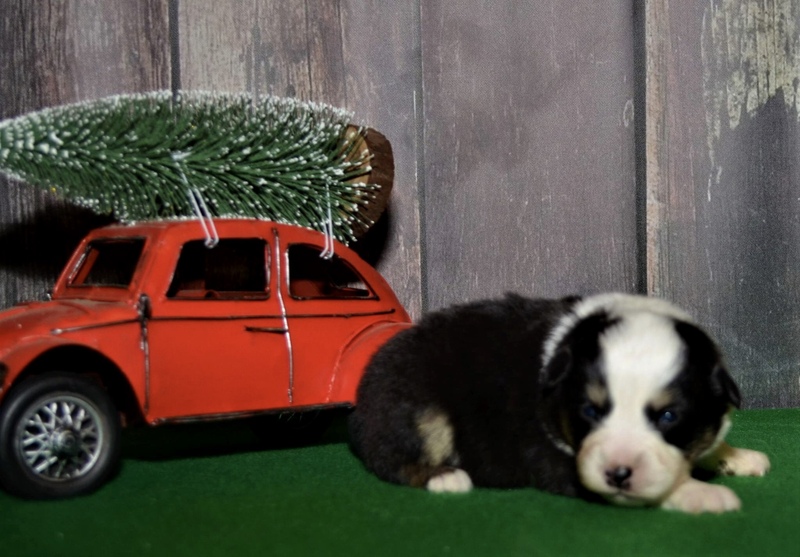 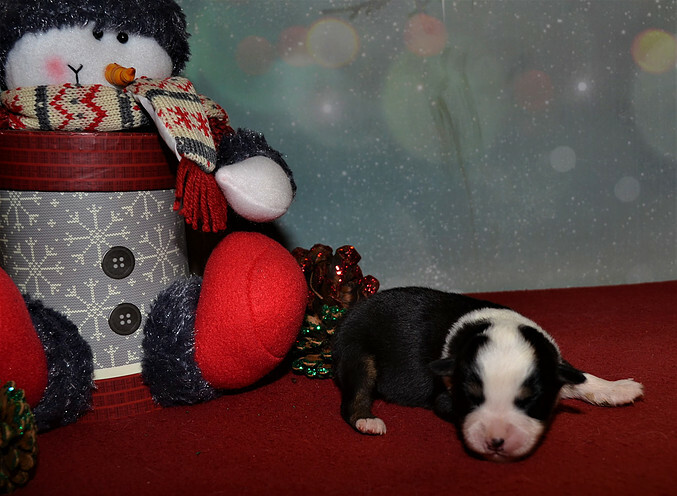 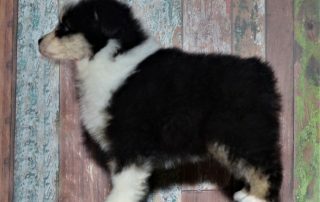 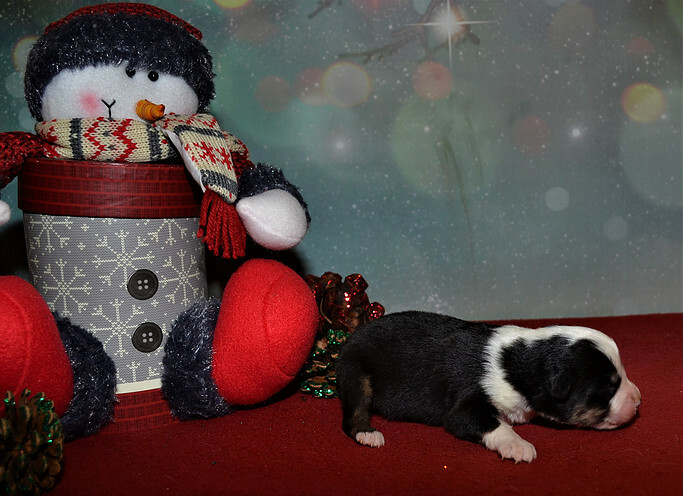 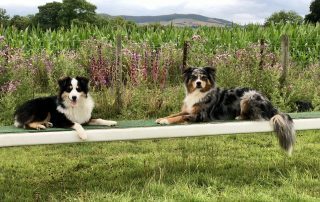 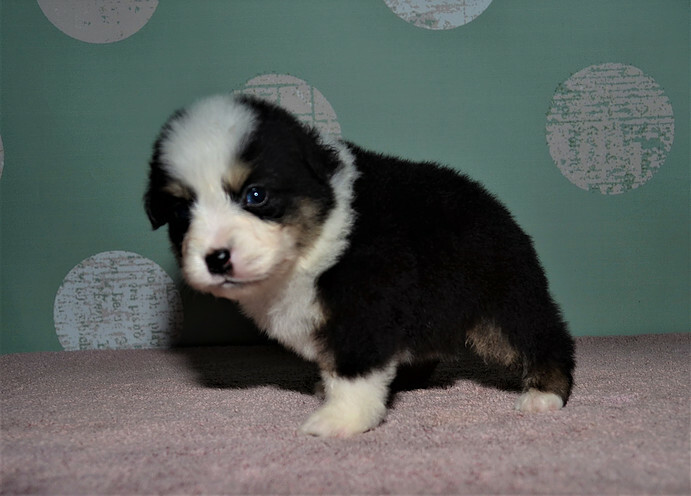 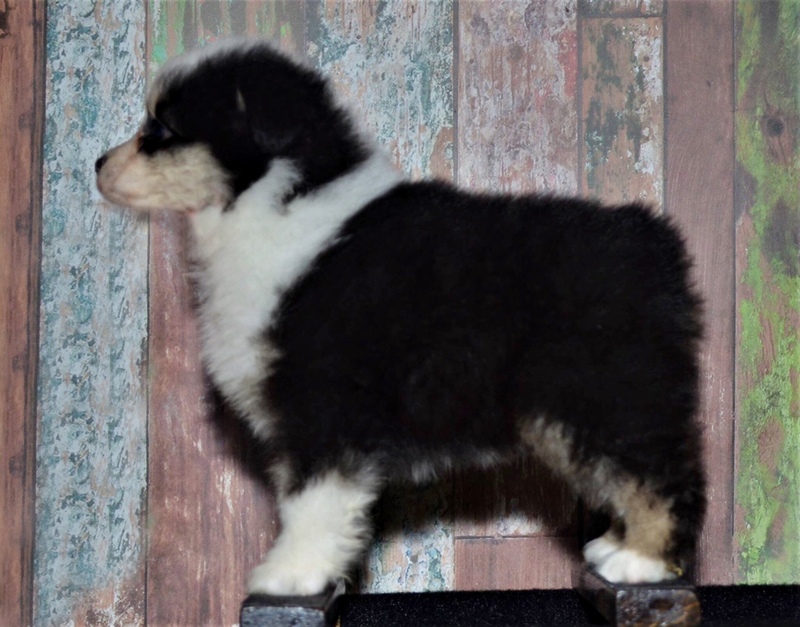 This cross could produce all colours of offspring (black tri, red tri, blue merle & red merle) and will be suitable for a wide variety of homes. 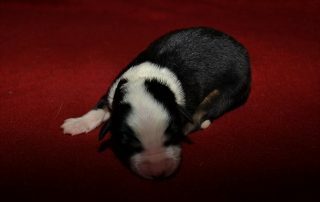 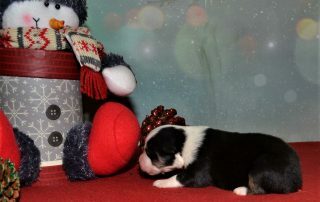 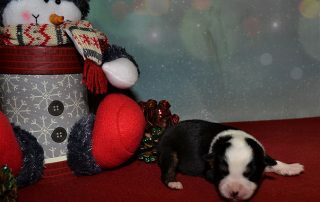 Any puppies would be evaluated for their potential in different avenues prior to being placed. 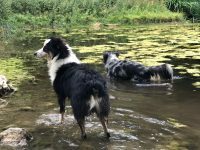 As Legacy is still young, these plans are subject to change – please contact us to be kept up-to-date. 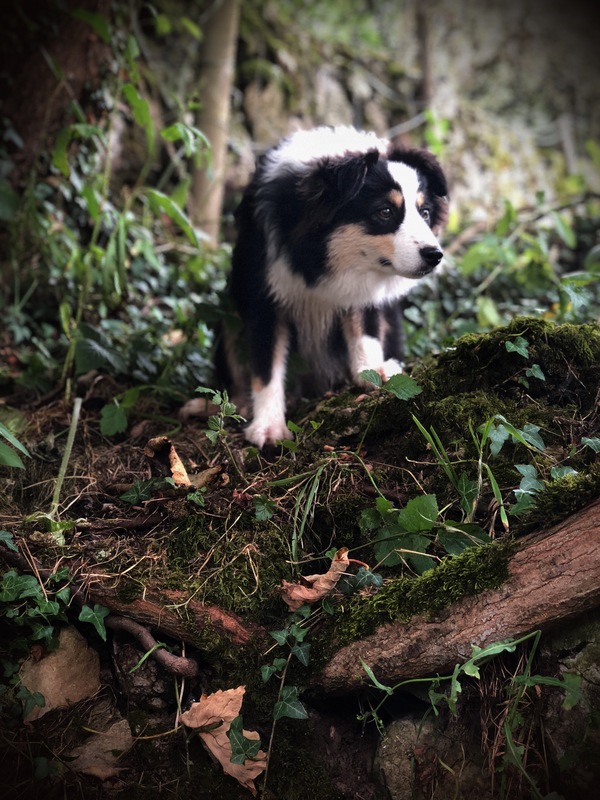 Please see our Litter Plan page for more details.